A big welcome to Sarah from Made in USA Challenge, who has graciously agreed to be our guest poster today! Sarah is on a quest to find and purchase only American-made products in order to support "human rights, the environment, and the economy." 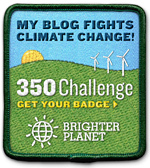 Please visit her blog about her challenge and adventures at madeinusachallenge.com! There are a lot of privileges that come with living in America. Sure, the economy is suffering, but we are still very fortunate. We enjoy clean running water, an abundant food supply and energy resources. With these privileges also comes responsibility. How we act locally affects the world's citizens globally. The United States remains the top emitter of CO2 gas--contributing to pollution and global warming worldwide. The good news is that our country has the resources, technology, and labor needed to lead the green movement through new environmental innovations. Now is the time for us to step up and take control of our nation's and our planet's futures. Buying locally-made goods is an easy way to stimulate our economy and minimize our impact on our environment. Purchasing goods made in the USA, your state, or better yet your own town strengthens our fragile economy by providing jobs and putting our spending dollars back into our own communities. Buying locally-made goods decreases the carbon footprint of a product that would have otherwise been shipped from abroad, using precious energy resources. Goods made in the USA are produced under our enforceable air and water regulations that do not exist in developing countries, including major importers like China and India, so we aren't just outsourcing our pollution. allow increased mercury emissions. This group is passionate about protecting our environment for the welfare of our most important citizens: our children. During the Webinar, I learned not only about the effects of Mercury, a potent neurotoxin, but also about the technologies being developed in our country to combat it and other environmental dangers. The US is a leader in the environmental technology industry. The Institute of Clean Air Companies details the United States' role in the environmental technology industry. The industry provides 1.6 million US jobs and contributes over $300 billion a year in revenue, making the US the top producer and consumer of environmental technologies. These products and services include those used for pollution control, waste management, recycling, and clean renewable energy sourcing. In an uncertain economic time, it is vital that we support this growing domestic industry. Whether you are a mother or not, learn more about what you can do to help protect our nation's environmental regulations, support green initiatives and promote the environmental industry. Start by taking a look at your own consumer habit. 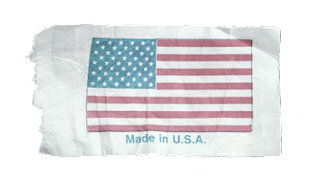 I'm on a quest to find eco-friendly, ethically made goods manufactured in the USA. I'm exploring all the issues involved with consumerism, without losing my sense of humor! 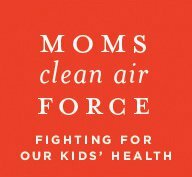 To get involved with the Mom's Clean Air Force, join up today and find out how you can use your voice to contribute the the power of this group. And I hope you'll join me in my challenge to becoming a conscious consumer! Being a conscious consumer starts at home.